At about 2:30 am just now, the chariot makes it way through the city. Accompanied by thousands of devotees on foot, the procession is heading towards Batu Caves for the annual Hindu festival of Thaipusam. Olympus OM-D, ISO 1600, f5.1, 1/100 sec. 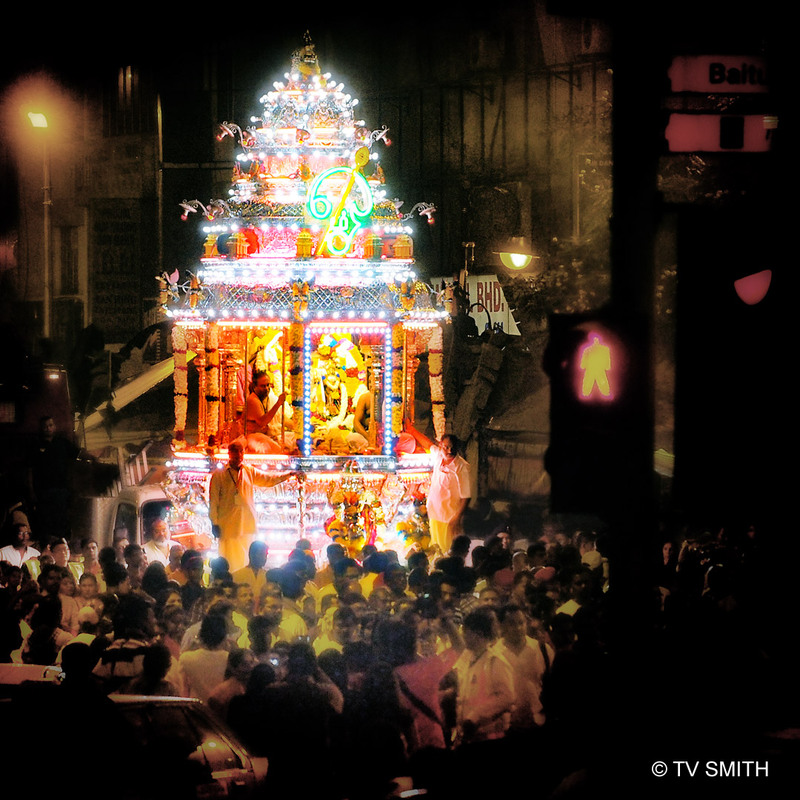 This entry was posted in Culture & Festivals, Events, Instagram, News & Commentary, Olympus OM-D, Photography and tagged batu caves, chariot, em-5, festival, hindu, indian, kuala lumpur, malaysia, night, olympus, om-d, procession, thaipusam by TV Smith. Bookmark the permalink.